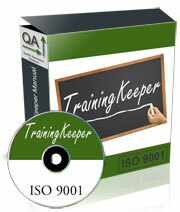 We are VERY close to finishing the latest update to TrainingKeeper Software. We hope to release this in August 2014. We worked on this for quite a while and incorporated suggestions and recommended improvements from our customers. We have added multiple features to the software. One of the features is the ability to create formal course certificates on the fly. There will be multiple certificates to choose from and you don't need to worry about formatting. Just click and print. You can now track training expenses. This lets management see how the company spends their training budget. You can create training reports based on your company's managers or departments. Plus you can send report data, employee data, and class data to Microsoft Excel. HOWEVER, I need your help. Before releasing the software, I need to make sure we add the features you desired. This is where you come in. Please take a few minutes and fill in the below survey. In addition to the simple questions, please describe two features you would like to see. After you answer, you can see a summary of the results. 8) Other than above, what two features would you like to add to TrainingKeeper Software?